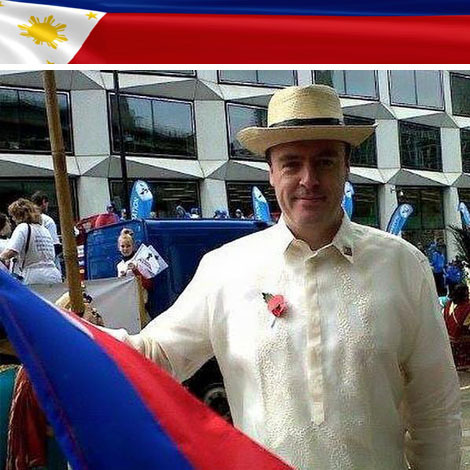 Recently fronting for his short video documentary entitled ‘A Small Gesture Can Lead To A Big Change,’ which can be accessed via YouTube, this British man with a Pinoy heart inspires us with a love for the Philippines which rivals that of homegrown Filipinos. Malcolm Conlan is from London and we were enthusiastic to learn about what inspired him to create a quick video and be an advocate to the Filipino “street kids.” To this present day an image that has remained prominent in Malcolm’s mind is of “children running in and out of the traffic selling bulaklak.” With his empathising attitude he has always felt as if it was necessary to step in and provide help in some way. Malcolm’s strong presence within the Filipino community in London and in the UK in general, for the last twenty years can be demonstrated by his dignified response in his ‘Letter to Devina’. Malcolm comments “I have always felt some kind of burden to comment on the social issues affecting the Filipino people. This relates to the incident in which a racist blogger from Singapore wrote an illiterate and derogatory letter about the 2013 Miss World winner Filipina Megan Young, referring to Filipinos as “maids who are not to be looked upon.” Malcolm composed an open letter to Devina that went viral and was shared all around the world with over 16,000 views on YouTube. Malcolm Conlan is often seen mingling with famous Filipinos and he is a big fan of the ABS-CBN Kapamilya artists. “I have had the pleasure of meeting many of them over the years. I’ve met Piolo Pascual several times; he always calls me Mal and just chats to me as a friend. Malcolm is also followed on Instagram by Enchong Dee, Shaina Magdayao and Bea Alonzo. Asking Malcolm of his further aspirations for his businesses, the Filipino community, and his charitable work in the Philippines Malcolm is still “looking for direction in life and till this day does not really know where his passion and love of the Philippines will lead to. Through prayer he hopes that he will find his direction and when he does I’m sure the Filipino community will benefit from it. We were intrigued to ask Malcolm, what is it that makes you “Pinoy at Heart.” To this he responded “love” for the country and its people because they are caring, loyal, passionate and resourceful. Malcolm has managed to create a family with his Filipina wife and they have been happily married for nineteen years with two grown up children. Maraming Salamat po at Mabuhay, More power to you guys. 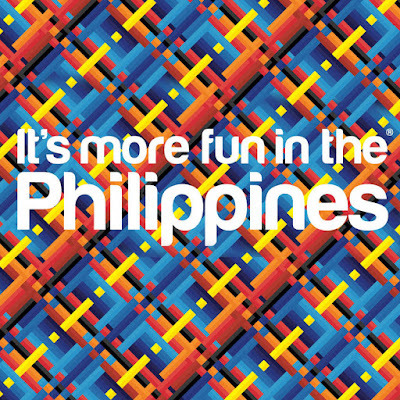 MoreFunPhilippines.com is an online publication which allows you to explore the beauty of the Philippines.